All the pieces are handmade by me, here in Ireland of natural Irish wood. With the willing the products will be loved and treasured for a long time i choose to use high quality materials and at the same time to stay at the ecological, natural side as much as possible. For that reason most of the products has organic oil and wax mix finish to protect the wood. Rustic Wood Slices Reclaimed Oak Wood Slices Tree Trunk Slices 6"-7"
I am very impressed with the durability and beauty of thise piece! Thank you so much for creating such a work of art! 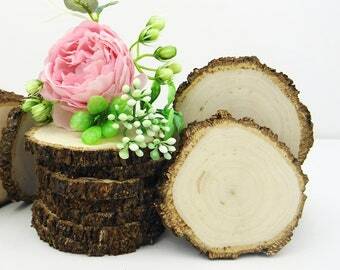 Wood Round Centerpiece Tree Trunk Wood Slice for Weddings Party Table Rustic Kitchen Decor 10"
These were part of a larger order, I am very happy with everything and the service was excellent. Cant wait to get crafting, thank you very much for the lovely extra samples as well! Highly recommend this shop, a happy returning customer! 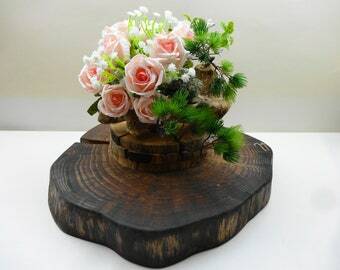 I was always passion to the natural materials, especially wood, witch i think i got from my father, who all his life was working in forestry industry and our house was always full of unique wooden decorations. I am happy to share my passion creatures at DaliasWoodland and hoping you will find some unique natural wood decorations which ones will bring warmth and happiness to your home.